I like the location, the apartment is very clean and new. The location and the fact that it was clean. The staff is amazing. Dora and then Ana were extremely helpful. The apartment was above average. Super convenient location. Very clean. Helpful staff. we liked that it was very close to the beach.... about 3 min walk. if you like to party or don't need sleep this is also the place for you. Restaurante Squash around the corner is absolutely amazing. That was the saving grace of this place. I highly Recommend it. There's also a nail salon down the street that does the most amazing pedicure I've had in my life and for a good price. Beth shammeh I think it's called. Cletonia is a nice place on the strip and has the best gelato! Super easy walk to the beach. Basic accommodation but okay for one night. The apartment was good, the only one in the 2 buildings that had washing machine. Air conditioning worked perfectly well. We stayed in Jnauary, so there was parking, but if it where summer, no chance. Beware of that. Lovely bright spacious apartment. All mod cons...Great location. Great value. Lock in a great price for Apartamentos Mirante da Rocha – rated 8.5 by recent guests! 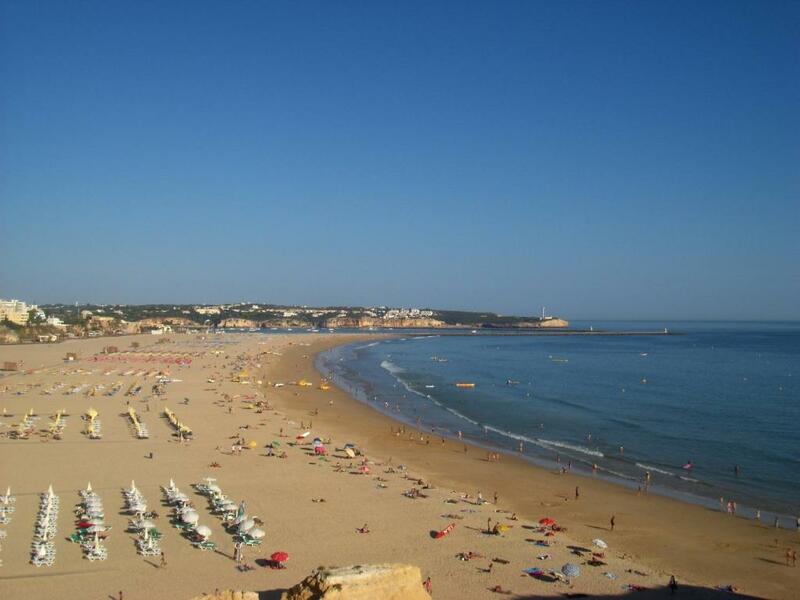 One of our top picks in Portimão.Apartamentos Mirante da Rocha are primely located in Portimão, a mere 350 feet from the popular Rocha Beach. The property is 0.6 mi from the Portimão Marina. The apartments all feature a living area with a cable TV. The property features the option of 1-2 and 3-bedroom apartments. All units come with a private bathroom and a kitchen. Guests may cook their own meals in the kitchen. For those wishing to try the local delicacies, Rocha Beach has several restaurants and eateries, just a 5-minute walk away. The renowned Portimão Museum is 0.9 mi away from the property. Alvor is 4 mi away and has a popular beach area, with several quality restaurants. The Alto Golf Course is 1.9 mi away. Faro Airport is located within a 51-minute drive of the Apartamentos Mirante da Rocha. 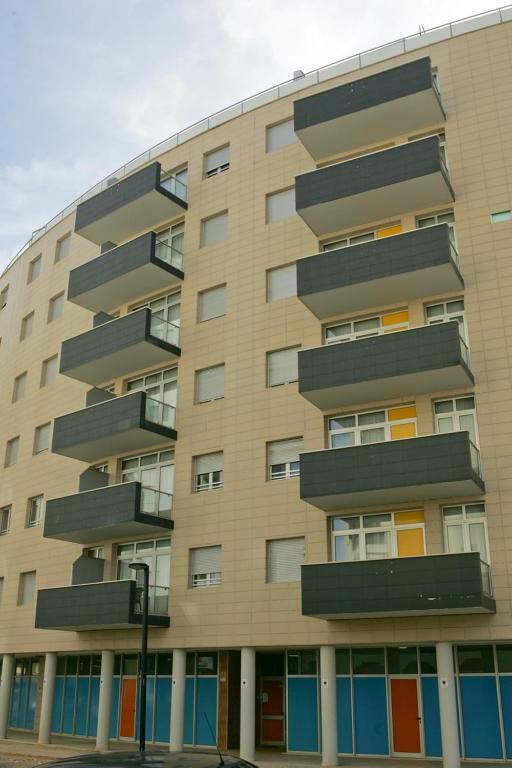 뀐 Located in the top-rated area in Portimão, this property has an excellent location score of 9.1! 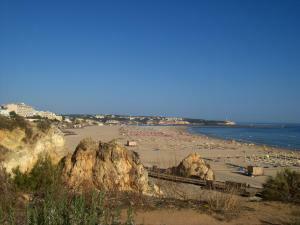 When would you like to stay at Apartamentos Mirante da Rocha? The 2-bedroom apartment features a living area with a cable TV and sofas. The unit comes with a private bathroom and a kitchen. The 1-bedroom apartment features a living area with a cable TV and sofas. The unit comes with a private bathroom and a kitchen. This studio features a living and a dining area. Situado apenas a 50 metros da magnífica Praia da Rocha, a unidade disponibiliza modernos apartamentos devidamente equipados, onde os clientes poderão confeccionar as suas próprias refeições. 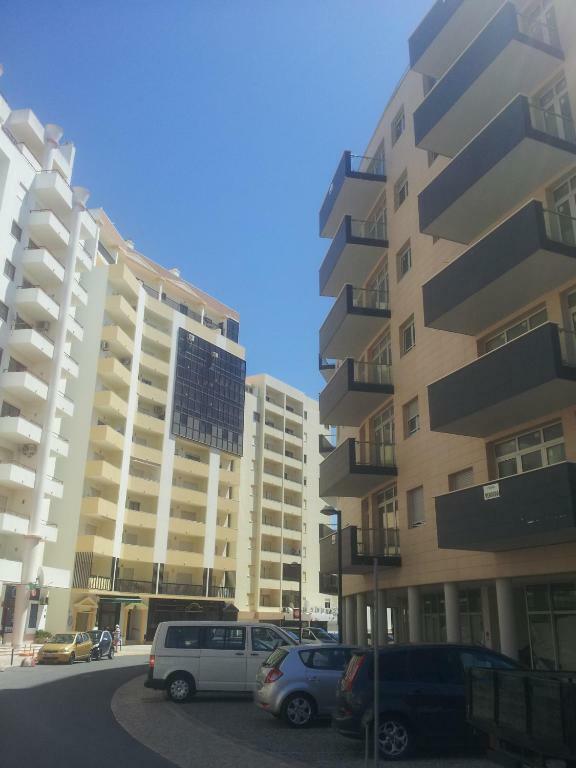 House Rules Apartamentos Mirante da Rocha takes special requests – add in the next step! Apartamentos Mirante da Rocha accepts these cards and reserves the right to temporarily hold an amount prior to arrival. Please note that check-in and check-out is made at Hotel Santa Catarina, sited on Avenida Tomás Cabreira, 350 feet from Apartamentos Mirante da Rocha. Please note that a key security deposit is required upon check-in. The amount will be returned following check-out. Please also note that parking is subject to availability. Cleaning is done on Mondays, Wednesdays and Fridays. Please note that check-in and key collection take place at: Hotel Santa Catarina - Avenida Tomás Cabreira, Praia da Rocha 8500-802 . The table in the living room was very small to eat and made of plastic. No room view. No room cleaning. Difficult to park, very few places for so many apartments. In summer there is no parking for sure. staff was very nice and helpful, the apartment clean, spacious, about a 3min walk from everything one might need to have a perfect vacation, yet very quiet. loved it. Despite good cleaning crews, the balcony was not cleaned either before or during our stay. When we arrived, it was filthy (bird droppings everywhere, on the floor, ledges etc), we had to purchase cleaning fluid to scrub grime off the table. Absence of cooking oven was a bit of a shock and our request to fix bathroom hair dryer, toilet seat remained unattended. We did observe services blanking screen (water pipes etc) was attended (one-week later) but the rest appeared to fall on proverbial deaf ears. A very small bathroom and, the principle reason for the broken toilet seat is that the door would strike it when not even fully open. For an apartment that could accommodate four people, the electric kettle was tiny, it had no automatic shutoff which is potentially dangerous and that requires action, especially for families. We purchased additional glassware, large and small plates were scarce. Location was good - modern, clean and spacious apartment, staff polite and welcoming. Check-in was straight forward and efficient, remember to inform your driver that you must collect keys from Santa Christina hotel. Beds were comfortable and kitchen generally well equipped, exceptions and observations mentioned in negative review. A few minutes’ walk to the beach and the resort generally kept clean and tidy. 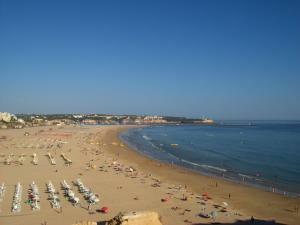 Praia da Rocha and Praia da Vou beaches are simply magnificent. Good shops, restaurants and nice things to do. Catch the train to Lagos or go by bus to Silves or Monchique. The local marina, landmarks were all pleasing, for example, Portimao and its old town can be reached by foot or number 11 bus. Even though there was a parking space, we had no space available when we came back later on in the evening. You do get it on arrival, but if you're planning to travel around nearby beaches (which is a must in my opinion), you might struggle to get space. You do have to go to a nearby hotel to make payment, but staff are very nice and it was not a problem to check in earlier than advertised, which is great. Location is simply fantastic and there is parking space available for the car. 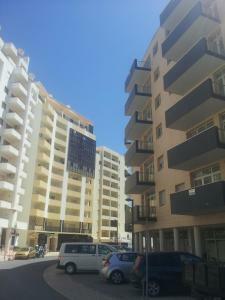 Very good location, close to beach, restaurants,pharmacy and a small supermarket are close. Clean. There is no washing machine, iron. Also, there wasn't "Fairy" or Smth. Like that for dish wash. Location was perfect. Moreover, everything is new, nice, clean. The loo was clogged, the bathroom and towels smelt bad. The kitchen had limited utensils and crockery and the veranda was dirty and had no lighting. The only thing i liked was the bed. The only issue with the stay was there were hairs in the beds from previous guests even though the bedding seemed clean.